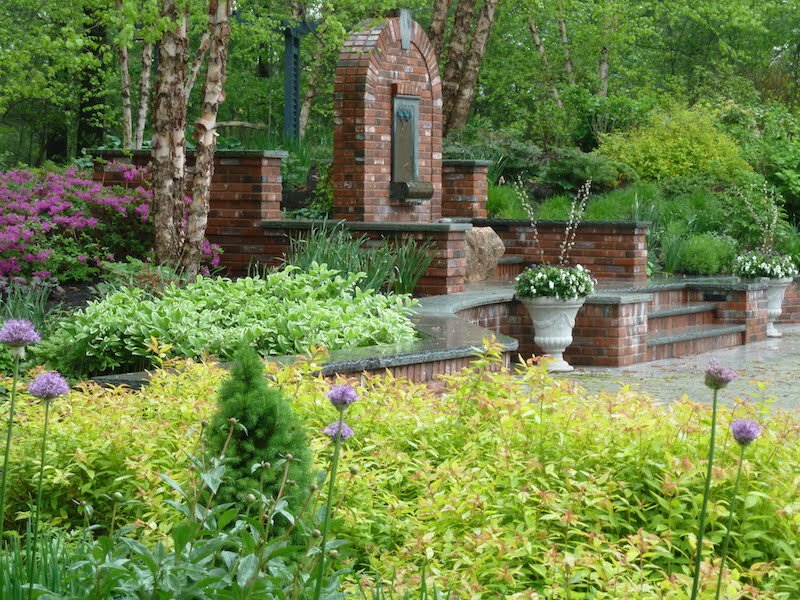 A well-designed entry garden welcomes you, your family, and guests daily. It’s the place you trek through on car or foot to gather the mail and perhaps the newspaper. It’s the first place you see when you return home and also the last place as you travel to work, school, or wherever. Its beauty can cheer, soothe, delight, and relax you. 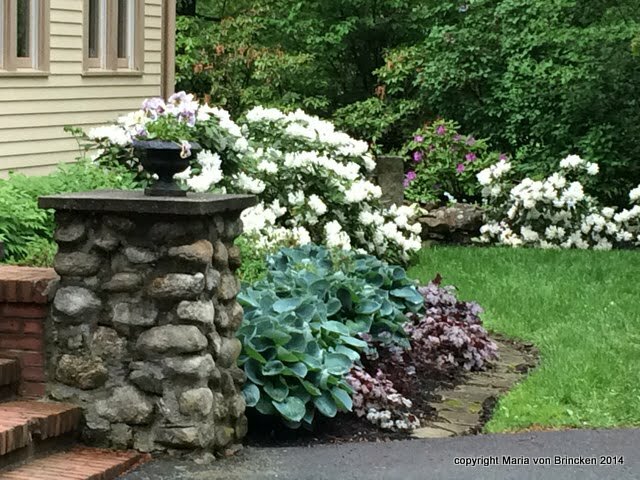 Think entry gardens rather than foundation plantings. Foundation plantings just line up plants in a narrow bed to hide the house foundations – they can never be the whole garden. A well-designed entry garden begins at the street, progresses along a drive, may include guest parking and a turn-out, welcomes you as you park your car, and guides your guests to an obvious path leading to an obvious doorway. Walks and often walls, plantings, shaped planting beds, containers, and lighting are all a part of this welcoming space. 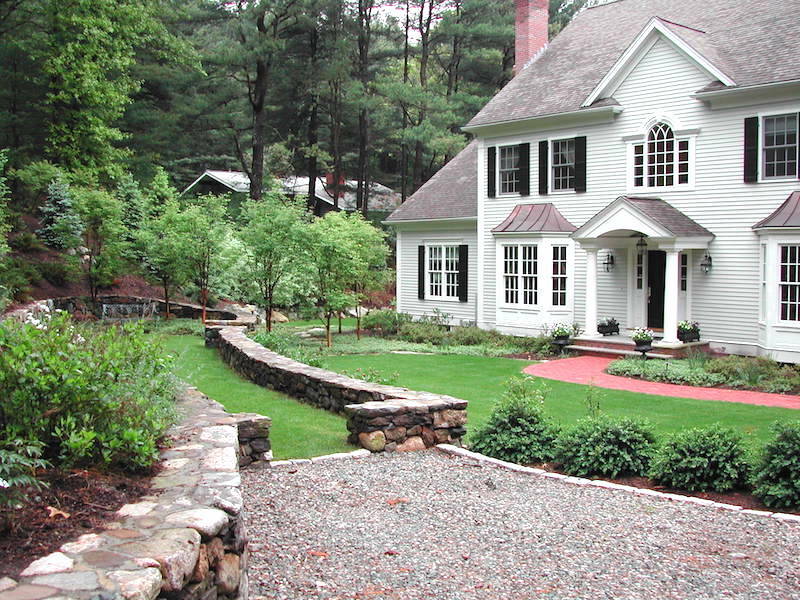 Plantings and shaped beds can frame a house, making whatever architectural style look good. And visually turn a house into a home. 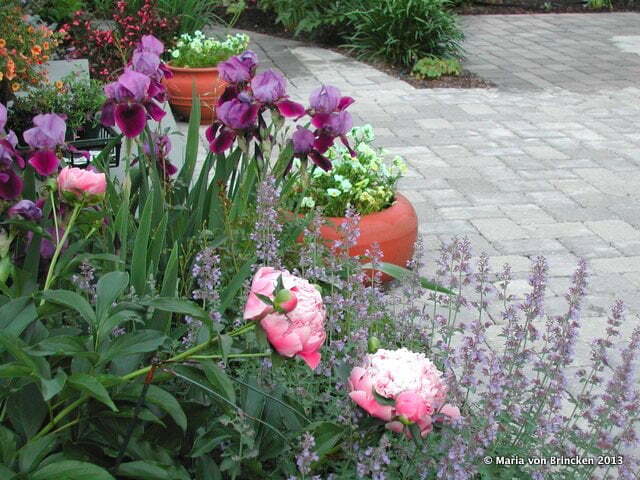 An entry garden can finesse awkward grades and solve other site issues. Environmental, organic, and sustainable solutions can also be part of the design objective. Concepts like ‘right plant right place’ horticulturally, spatially, and aesthetically create healthy long term plantings with lower ongoing maintenance. Beautiful views from inside the house and from the street are essential, but also along the drive, and right to the front door, all offering four season appeal. And as we all know, beauty is something special in our daily lives. The designs featured are just a few examples in a variety of styles I have created for my clients.